Adventures of the CoffeeBar Kid is Back tonite! Slightly weather beaten but still standing! 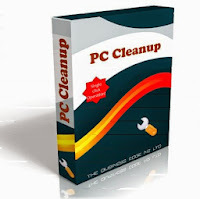 Groove is back to power and normal service has resumed! So we return to our regularly scheduled programme. Tonite we'll play a fascinating intrview with historian and writer Mark Derby about his new book 'White Collar Radical: Dan Long and the rise of white collar unions'. This is a brilliant documentary of one of New Zealand's gentleman unionists. A man responsible for the success of New Zealand's largest union the PSA, and a leader credited with significant gains for Women in pay and equality in the work place. He's also the one behind the dress code for public servants: walk shorts, brown cardigans, socks and roman sandals! If you grew up surrounded by anti-unionist rhetoric of the Muldoon government in the 80's then join us, from 7.30 tonight, for a slightly different history of New Zealand. 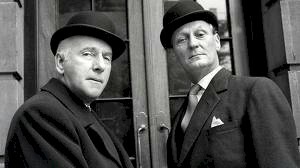 Also, just to add to the flava we'll be featuring an episode of the Men From the Ministry, a British radio comedy series that ran on the BBC between 1962 and 1977. These are the hilarious, stiff upper lipped adventures into pure incompentancy. The most ironic thing about the series was the ability of a highly state owned service such as the BBC to laugh at it's own public service which in the post war years was both hated for its officious bueracracy and reverred as the largest employer in Brittain. There was also a deep suspicion fo socialist activity afoot and a deep mistrust of any one in a bowler hat! Ultimately it was this series that provided the ferile ground for the Goons and Monty Python to make fun ofof the British demeanor. Of course New Zealand also had it's version, Roger Hall's emmensely polpular Gliding On which was first a play, then a TV series. 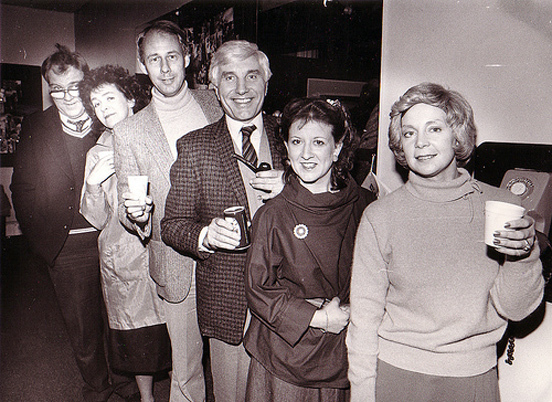 It launched the careers of Ross Jolly and Ray Henwood (Commedian Dai Henwoods Welsh dad). Tally ho and all that. See you at 7.30. Due to Wellington's worst storm 40+ years we missed out last week so this week (27/6/13) we interview historian and writer Mark Derby about his new book 'White Collar Radical: Dan Long and the rise of white collar unions'. This is a brilliant documentary of one of New Zealand's gentleman unionists. 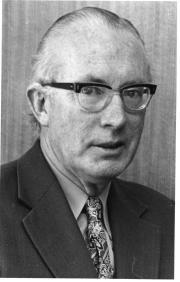 A man responsible for the success of New Zealand's largest union the PSA, and a leader credited with significant gains for Women in pay and equality in the work place. He's also the one behind the dress code for public servants: walk shorts, brown cardigans, socks and roman sandals! If you grew up surrounded by anti-unionist rhetoric of the Muldoon government in the 80's ten join us, from 7.30 tonight, for a slightly different history of New Zealand. See you then! 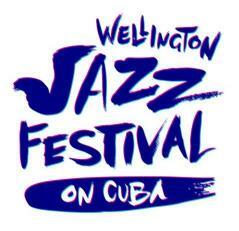 It's time for the Wellington Jazz Festival. This week the Kid and Festival Director Shelagh Magadza have a chat about what's happening this weekend. Hold on to your groove-shoes the festival is coming. They discuss the artists and play some of the music just to get you in the mood. Tune in from 7.30 Thursday Night to get the lowdown. We're stoked that the festival is finally here! New Zealand’s hottest little jazz festival – in the world’s coolest little capital. 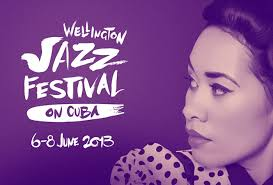 The Wellington Jazz Festival is an event of true international standard, with hundreds of musicians will be turning up the heat in the capital’s famous Cuba Quarter. From contemporary and traditional jazz to soul, rhythm & blues, reggae, latin and gospel, this Festival is not just for the aficionado but for a broad selection of tastes. There are major international acts, home-grown super groups, relaxed afternoon sessions and riotous late-night jams – all crammed into some of our capital’s best loved music venues, bars and eateries. The Bandits Take Havana - A young and energetic seven-piece Latin jazz ensemble. A Roomfulla Blues - A WJF version of The Hotel Bristol's regular Thursday bluesfest.